I never watched Bubba Smith play. Charles Aaron Smith retired in 1976. I was born in 1982. I watched my first NFL game when I was 12 I think. I saw Bubba smith earlier than that. Some of those stupid police academy movies. Never really laughed from those. Bubba Smith played in the NFL for 10 seasons. He played for the Baltimore Colts, Oakland Raiders and the Houston Oilers. He has 111 games played on his stat sheet. He won the Super Bowl with the Colts, but famously said he wouldn’t wear the ring, calling the game a “sloppy” one. He made two Pro Bowls and was voted All-Pro in 1971. Despite being a fearsome man on the field, Smith appeared to be more of a gentle giant (6’7, 265 pounds) off of it, making the transition into movies and TV very quickly. And that’s how I’ll always remember him. 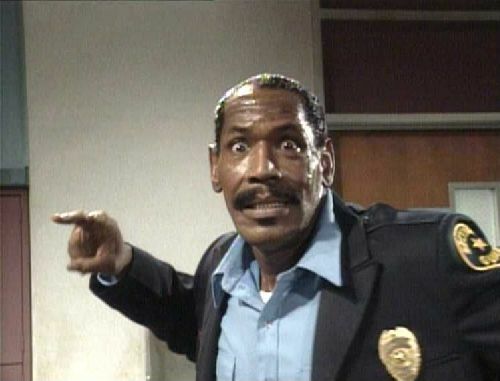 Not as Bubba Smith, who made an a few appearances on my favorite show ever, Married With Children. He made an appearance as himself during on of the later seasons. But his most memorable one, during one of the greatest TV moments in history (I still nearly piss myself when I watch this clip), as “Spare Tire” Dixon, going one on one with Al Bundy. Hope you find rest in the afterlife big guy. Hope you can look down and be happy you made a lot of people laugh.